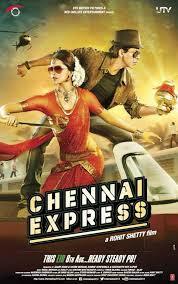 Nandini, Arvind, karishma, and Ramit are recreating the Chennai express magic, and I am getting nostalgic. 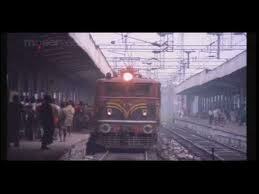 For us it was Madras Mail, from Mangalore to Chennai, the excitement would begin, when we reached the Mangalore station those days there were just three trains leaving the station. There was Kasargod station, where my grandfather’s sister and family would await, with eatables and small chat until the train moved on. I loved the dinner her daughter-in-law would pack, those days, puri’s chapatti were not so popular, the lunch box would consist of bisibele baath, and curd rice with some sweet thrown in. There would be homemade sugar coated cashew for Broadway mama, and pickles for venkat mama, and “thermos” with milk and kaapi. It would usually be brought to the station by my mother’s cousin’s accompanying would be their wives, kids and the whole jingabing. Then would be Calicut station where the vendors came selling “alwa-vartakai” the banana halwa and banana chips, my mother would pick up packs of them to be given to the various people we visited. The sleeper class, was what we travelled by, and my mother had a morbid fear of “Ladies compartment” so we would be in the open compartment getting to know fellow travellers, sharing books, food it was all fun and basically a psyche of trust and respect. Arkonam, was the announcement of the last lap, once we saw the Basin Bridge we had arrived. We would look forward to either my grandfather or one my mother’s relatives who would come to pick us up. When I saw Chennai express—despite distortion, crass presentation of the elegant south Indian society, there were moments that reminded me of my roots. For me the most enjoyable part of the movie was Deepika’s nocturnal antics. Her innate elegance of carrying the garish clothes she was given something no other actress other than Aishwarya has been able to carry off.